Berkeley Hall Waterfront Estate9000 SQ FT 8 BR 7.5 BA NOT $3 Million ONLY $1,999,000!!!! Welcome to ForeclosureBluffton.com. Real Estate in Bluffton, SC such as Homes, Condos, Villas and Lots are now available to buy for the best prices we have seen in years. Foreclosures, Short Sales and motivated Sellers make this a great time to buy in Bluffton, SC. ForeclosureBluffton.com has decades of experience in Real Estate to assist you in finding the perfect property for you to buy. Time to buy is NOW with Low Interest Rates and motivated Sellers!! Once a sleepy little town, Bluffton South Carolina is now has many amenities to offer and a quality Real Estate market that is located near Hilton Head South Carolina. Only minutes to World Class Beaches, Golf, Tennis and Restaurants. Bluffton now has many Signature Golf Courses located in Bluffton, Nicklaus, Palmer, Love, Fazio, Player and more quality courses are at your fingertips. National Chains such as Target, Best Buy, Lowes, Home Depot and tons of shops and Restaurants are located in Bluffton, SC. Great location, Quality Schools, Amenities and Great Prices for quality homes, add four mild seasons and year round weather make living in Bluffton, SC a very desirable place to live. Quality Public Schools were built on Buckwalter Parkway in Bluffton only a few years ago, so, new educational facilities are at your finger tips also. 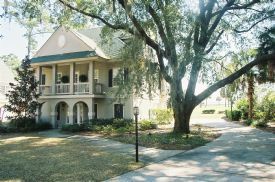 Four Year School, USC Beaufort, for jobs and education, is located in Bluffton near Sun City Hilton Head. 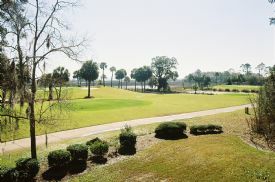 Sun City Hilton Head is a quality Retirement community with Golf Courses and amenities. See our site www.toursuncity.com for information. There are some foreclosures in Sun City Hilton Head too!! Foreclosures in Bluffton and Hilton Head are twice as hard to find than the national average. Bluffton and Hilton Head were not overdeveloped in the last ten years like many parts of the nation. You need quick, fast direct info and we can email you listings the MINUTE they come on the market!! Fill out the Foreclosure Form to get FREE unlimited access to all the Foreclosures in Bluffton today. GREAT deals await you now. Banks sell Foreclosures in an AS IS Condition, meaning they will not repair or replace items that need to be fixed. Short Sales are in a similar situation as the Sellers normally have absolutely no money to repair or replace items needed to be repaired. Normally, you are allowed to do Home Inspections to determine what AS IS condition means, just no repairs by the Sellers will be made. To help you understand the difference, Foreclosures are typically owned by Banks or Corporations and Short Sales are still in the hands of the Sellers and they need to negotiate the price with the Bank or the Lender. Both types of conditions may take months to close, so you need a Real Estate Company to help you with the long process. ForeclosureBluffton.com has done many Foreclosures and Short Sales and will help you thru the entire process. ForeclosureBluffton.com will email you IMMEDIATELY the new listings as they come on the market. Other sites are outdated and you may have listings from Last Summer!! Please fill out the form for all the types of property you want and we will set you up on your FREE No Obligation Gateway which will email you Foreclosures that meet YOUR criteria. With the tough competition for the GREAT deals, you need experience on your side. ForeclosureBluffton.com can do that for you. Sometimes, the best deals are not foreclosures or Short Sales, they may be motivated sellers that want to sell. Hilton Head Island Real Estate Company, our parent company, can assist you in finding the BEST DEALS on the Island. Call 1-800-414-SALE today to find the best deals in Bluffton South Carolina!! NOW is the TIME TO BUY! !